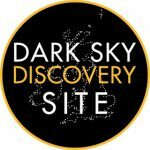 We invite you to attend our annual star camp for three nights of stargazing and astrophotography in the wonderful surroundings of our “Milky Way” class Dark Sky Discovery Site of Dalby Forest. 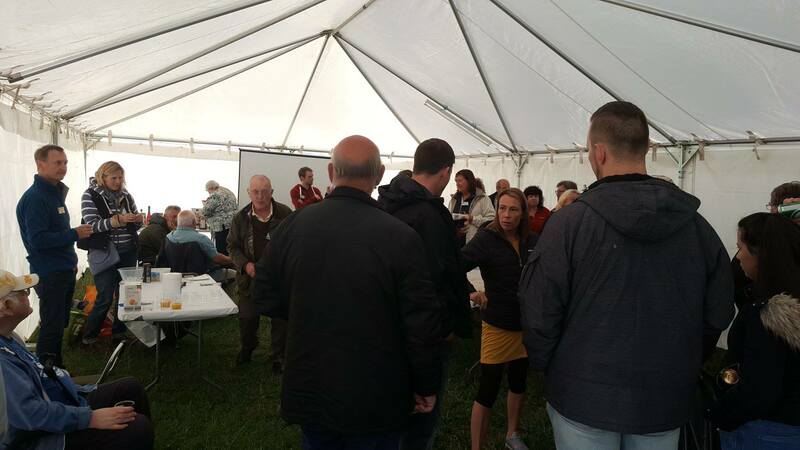 For anyone who hasn’t been to our star camp before, this is an annual event which is well attended by over 100 amateur astronomers from around the country. 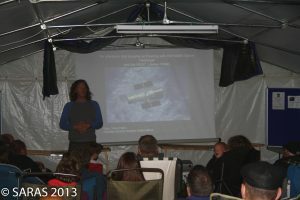 Astronomers travel to the forest to take advantage of the wonderful dark sky, as many other areas of the country suffer from urban light pollution, making observing and imaging deep sky objects far more difficult than under a dark sky. 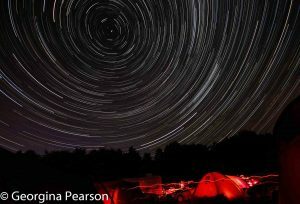 Please note, this is not a general public stargazing event; for our public events please see our events calendar. 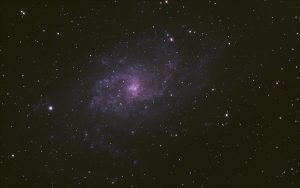 StarFest is a gathering of serious amateur astronomers and astronomical societies, but our regular attendees are a friendly bunch and are happy to chat and help those attending for the first time. 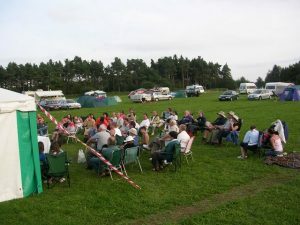 The field at Adderstone is well drained and we can accommodate caravans, motor homes and tents. However, there is no hard standing, shower facilities or electrical hook-ups: this is camping at its most basic! We have qualified First Aiders on site, hire private port-a-loos for the weekend which are emptied and cleaned, there is a facility for disposing of chemical toilet waste from caravans and we switch on the hot water urn in the marquee each morning for that first cuppa of the day. Running water is available at the top of the field. Due to the automated entry/exit barrier system installed in Dalby we are require an extra £5 toll charge per vehicle attending the event. This £5 charge allows unrestricted access, per vehicle, in and out of the forest for the duration of the event. As for previous years, we are able to accommodate early arrivals for those who have a long way to travel and for members who wish to take advantage of an extra night on the Thursday night (29th August). Please note that no one will be allowed entry to the camp site until after 12pm on the Thursday and the additional night needs to be arranged and paid for in advance. Friday night is the official start to StarFest with a “wine and nibbles” welcome with an opening Welcome delivered by Honrary S&RAS President John Harper FRAS. We plan to have trade stands in and around the marquee on Saturday once again, a range of talks throughout the weekend (itinerary to be confirmed nearer the time), our annual rocket building competition (that this year will include both children and adult prizes) and of course the Astro quiz on the Sunday evening. Places are limited and this is a popular event, so book early to avoid disappointment. No admission will be granted to individuals or groups who arrive without a confirmed booking. 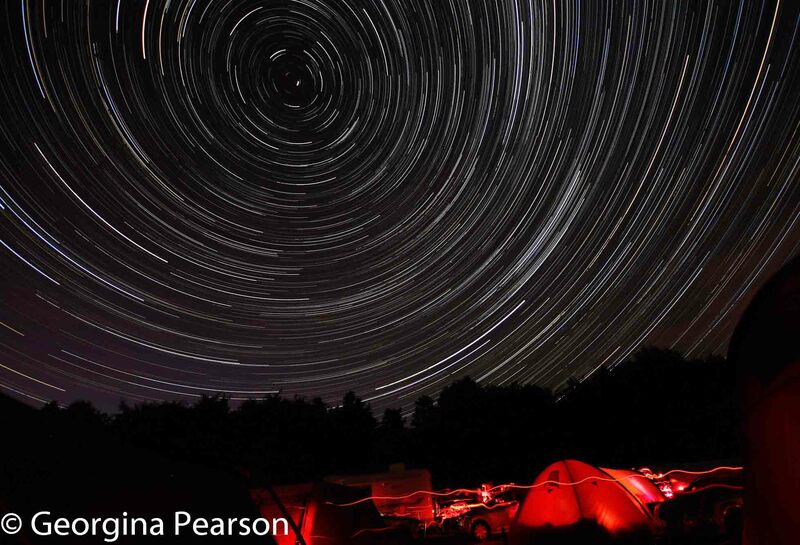 We look forward to welcoming you back to Dalby, whether it be your 1st StarFest or your 18th.